Remember the high value Kikkoman soy sauce coupon I posted previously? Well, it has rest, so you should be able to print it again! Just click here, click on “Get Your Coupon Today” in the upper right hand corner and print a buy one, get one FREE coupon. This is a Smartsource coupon and will print immediately. You should be able to print 2 coupons per computer. 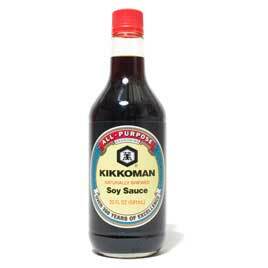 Buy 4 Kikkoman Soy Sauce products and use 2 buy one get one FREE coupons from above. Plus, use the $1/2 coupon from here (for the soy sauces you’re not getting FREE). Final price: 4 very inexpensive sauces!